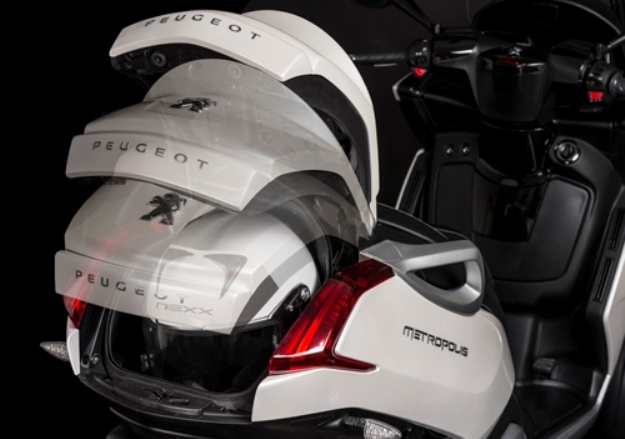 It is now official; Peugeot will have a scooter with three wheels in its range for 2013: Peugeot Metropolis 400i. 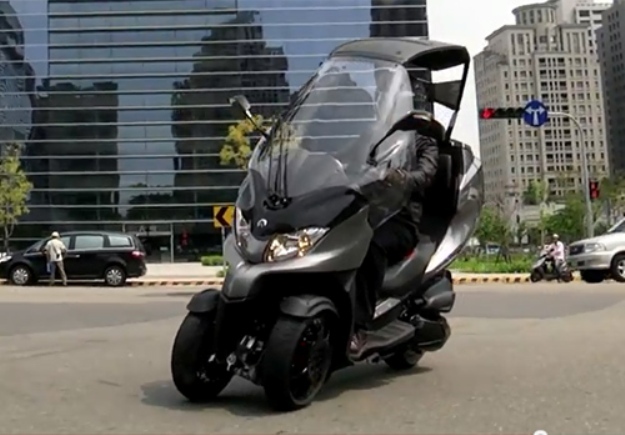 Revealed, in its final version, on the World of the Car, the three-wheeler presents a style car of the more seducers and panoply of equipment to make trembles competition. 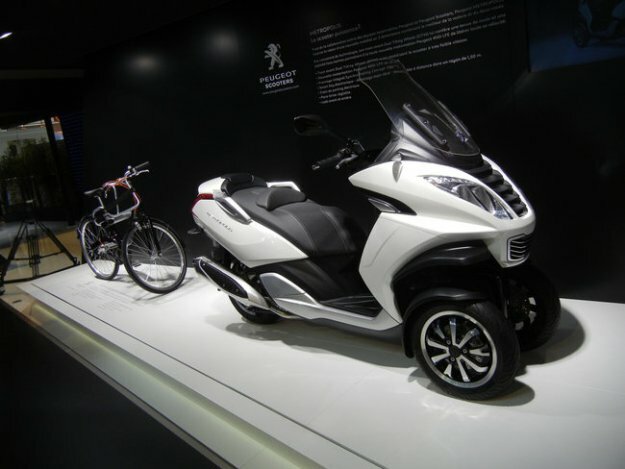 At Peugeot, the urban mobility of tomorrow passes inevitably from the scooter kind to three wheels. 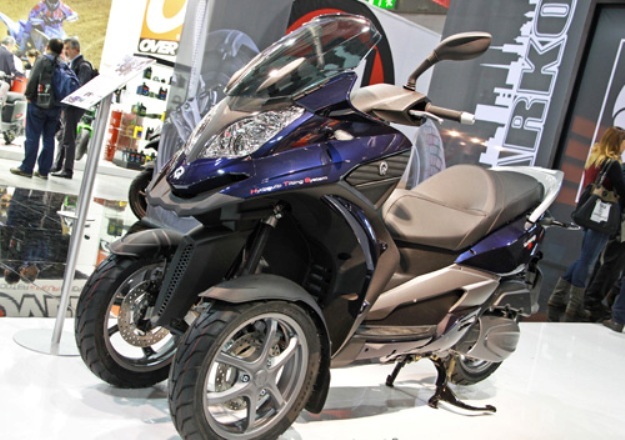 Since 2008, Mark with the Lion multiplies the prototypes of tripods (Hi motion 3, HYbrid3 Evo and today Onyx), but it will be in 2013 indeed that the French manufacturer will enter on this market with Peugeot Metropolis 400i 2013. 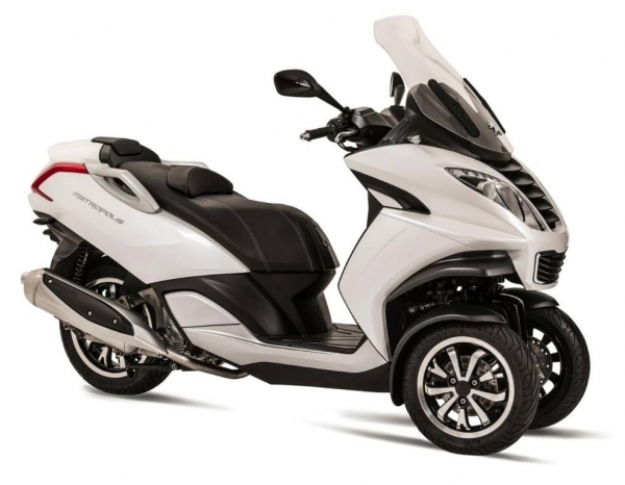 The Peugeot three-wheeler in its final version visually hardly evolved from Milan 2011. 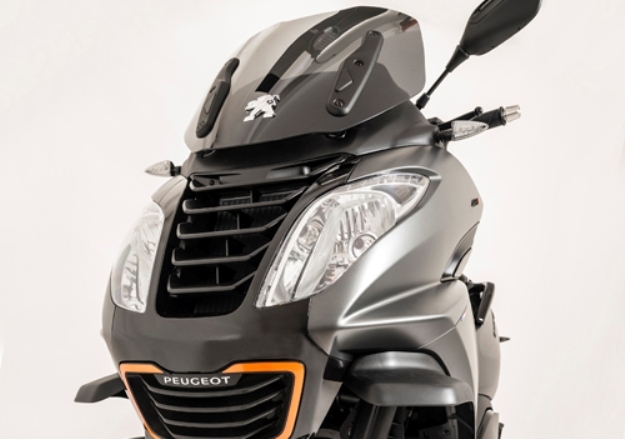 Under its white dress, much more elegant than the gray checkmate /orange color of the concept, Peugeot Metropolis 400i 2013 presents elegant lines and an automobile faces of inspiration, in perfect adequacy with the aesthetic codes of the mark (the famous Peugeot claw). 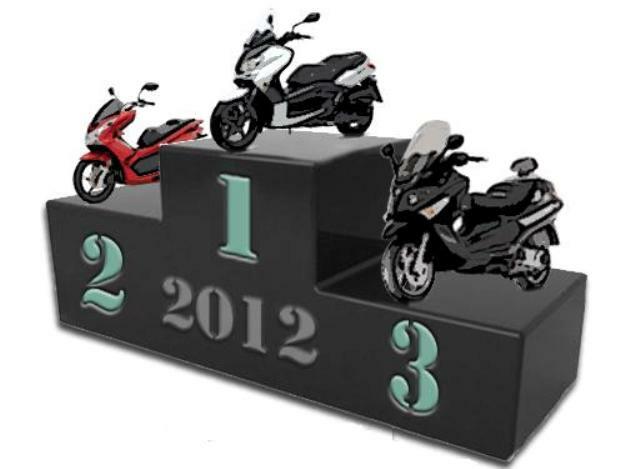 But the tastes and the colors are not discussed and vis-a-vis competition, it is not most interesting there. 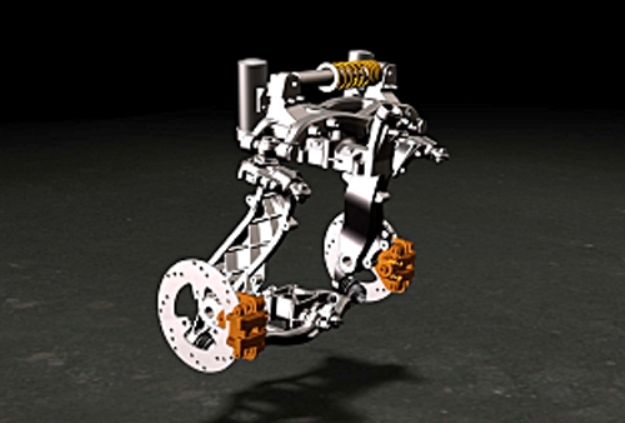 In addition to its motorization of 400 Cm3 stamped Peugeot and its moose nose gear baptized TTW (Twin Tilting Wheels), resting on a deformable parallelogram with double triangulation (associate with 2 beaters connected by a horizontal hydraulic mono-shock absorber), Peugeot Metropolis 400i 2013 has a flat floor that already made the difference on the level of the equipment proposed of series. 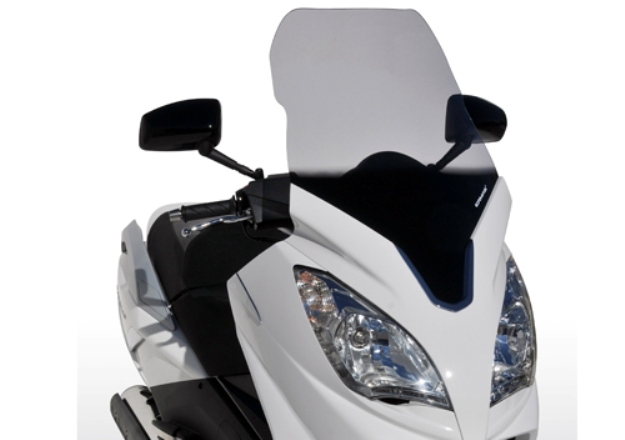 Contrary to Piaggio MP3 LT, indeed offers an adjustable pilot file, retractable momentary footrests, one limps with gloves bolt able and an additional arrangement on the left side, an adjustable windshield manually as well as a computer of edge equipped with a pressure gauge of the tires, present on the broad digital block of the instrument panel. Side braking, on the French three-wheeler the coupling of the brakes is also available to the left lever, besides the pedal laid out with the floor. 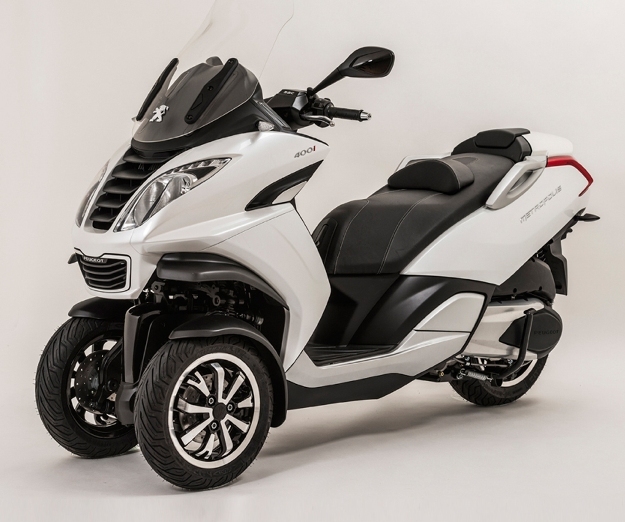 Peugeot Metropolis 400i 2013 also has an electric parking brake, and Italian three-wheeler bestseller of the French market, an electronic blocking of the slope at low speed, in order to park it anywhere but especially to avoid posing foot with the least stop on the ground. 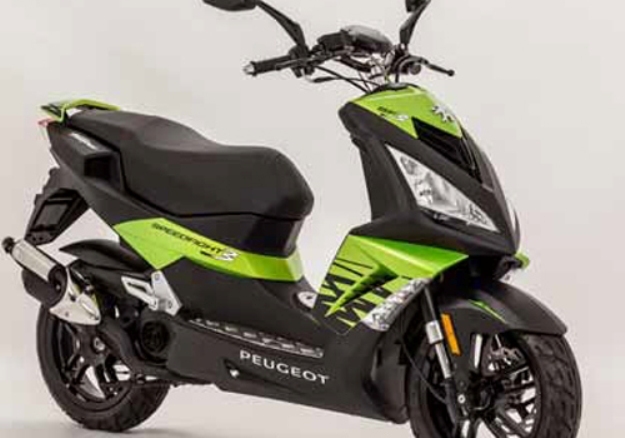 Another innovation on the segment of two and three wheels, Peugeot Metropolis 400i is started via Smart Key Peugeot, making it possible as a result to do without from contactor and lock. 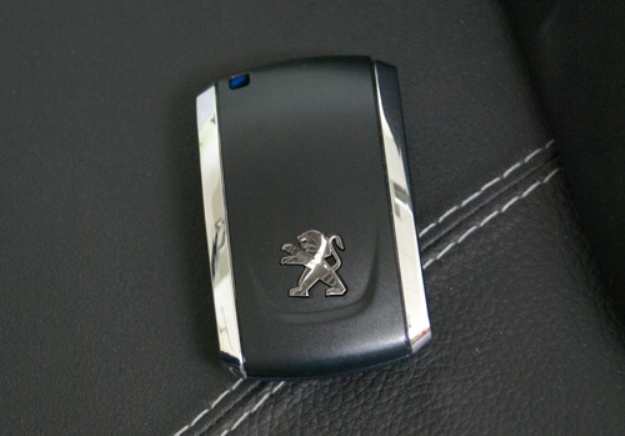 Side motorization, only the new Peugeot block of 400 Cm3 to injection is available. 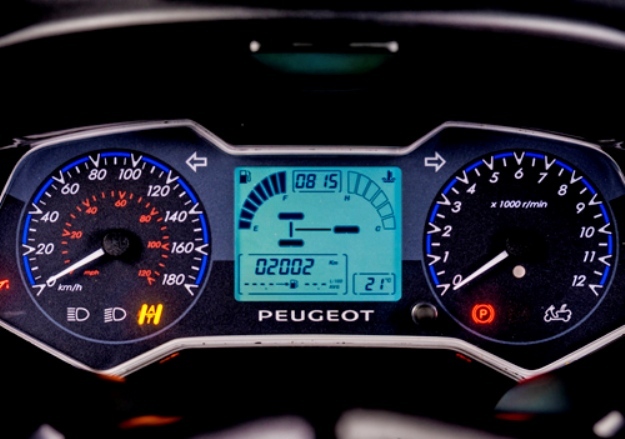 It develops a power of 35 ch, which is perfectly comparable with the power of the three wheels transalpine of 400 Cm3, but Peugeot shows less swift naturally than the MP3 500 LT (so accessible to the licenses B). Metropolis will unload in concession next spring; “at the cost of market” indicating the manufacturer to us.